The chair of the Johns Hopkins University’s board of trustees and his wife have committed $10 million to give students new opportunities in international relations and to enhance scholarly work on major world issues. Shari Aronson is a member of the Washington-Baltimore Program in Social Policy Advisory Board at the Krieger School. 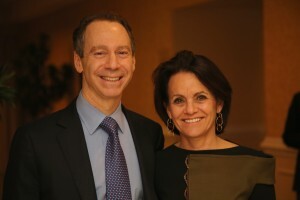 She is a trustee of Lehigh University, the Jewish Museum of New York and Sunrise Association. She graduated from the University of Delaware in 1980 and earned an M.B.A. from Pace University in 1985.